After a series of trial and error, I finally am ready to present to you the best easy pineapple upside-down cake from scratch! 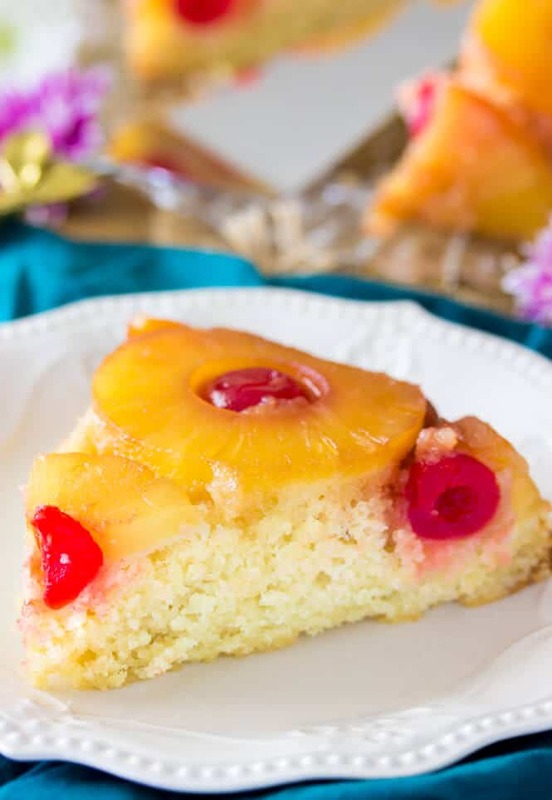 Made with a soft, fluffy, and simple vanilla cake recipe that uses only the most basic ingredients and a pretty topping of caramelized pineapple and maraschino cherries, this classic recipe is slated to be a staple in your baking repertoire. If you follow my Instagram stories, you might be tired of seeing this pineapple upside-down cake already. That’s because it took me so many times to get it right, and every time I thought I nailed it, I shared it on Instagram, and then it turned out that I hadn’t quite turned out like I’d hoped, after all. It was the fluffy vanilla cake layer that was so difficult. 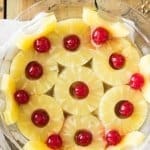 The pineapple and cherry top (/bottom?) is the easy part, it’s just a matter of combining melted butter and brown sugar in a pie plate and assembling your fruit, but a well-suited vanilla cake was much trickier to get right. Can you believe that my biggest problem was that my cake started out being much too moist? 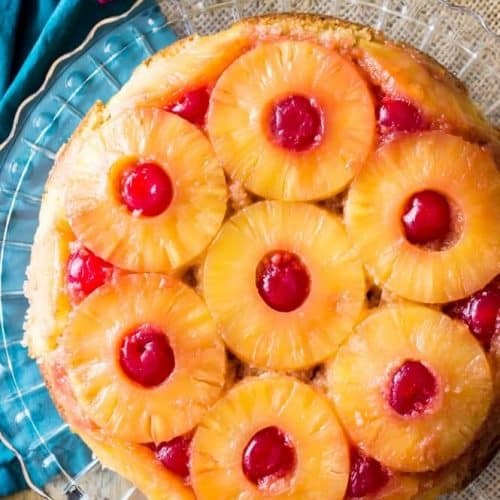 How do you make a pineapple upside-down cake from scratch? It doesn’t seem so difficult, but it took me about 8 attempts to get right. The answer is simple, it takes pineapple, cherries, butter, sugar, flour, milk, eggs, and baking powder. The ratios took a while to perfect, but after some experimentation with eliminating the buttermilk and sour cream that I had been using in my recipe (and getting a bit friendlier with the baking powder than I initially was comfortable with), I finally achieved a stable, versatile, from-scratch vanilla cake layer that paired perfectly with the fruit topping and was not at all sponge-y. 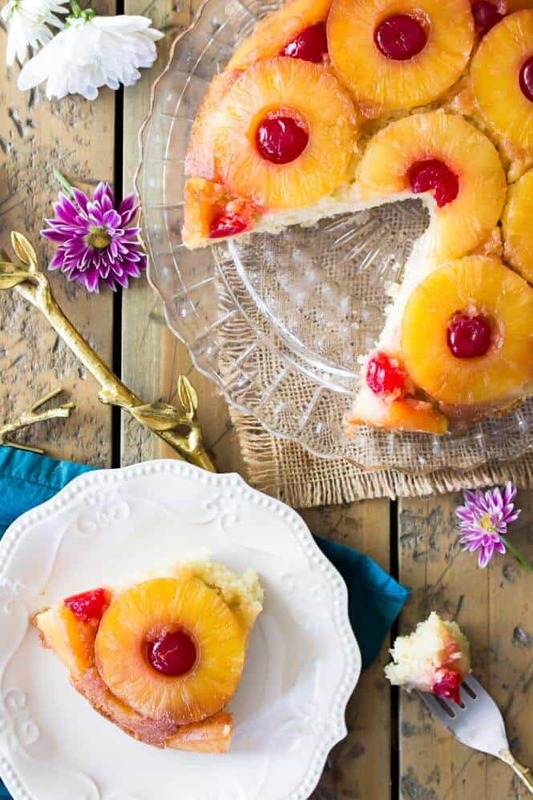 The best part is that this vanilla cake recipe calls for only the most basic ingredients, making for an extremely easy pineapple upside down cake. 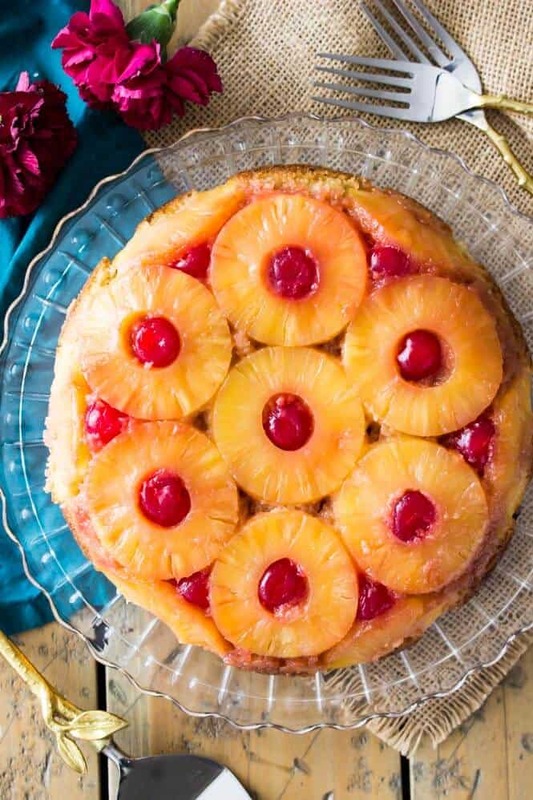 In anticipation of a question I get asked frequently about inverting cakes, I wanted to address the best way to flip your pineapple upside-down cake. 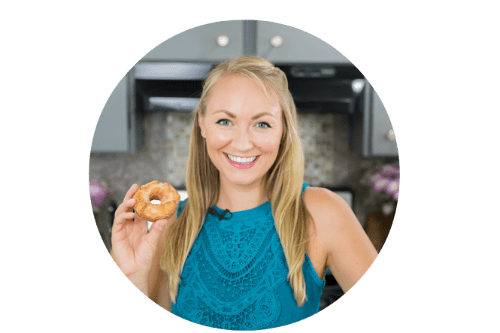 Trust me, it’s extremely simple, but since the inversion part is so critical to this pineapple upside-down cake, I wanted to address that here, but I’m sorry if this seems too rudimentary to you! 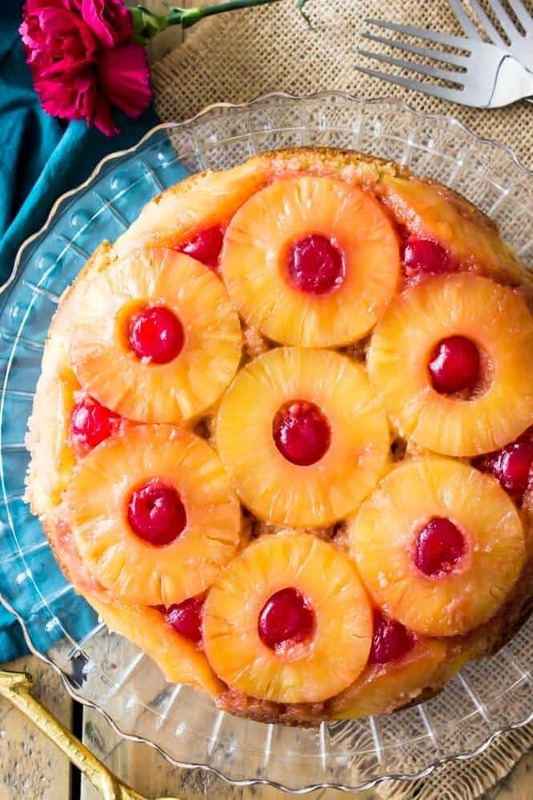 A classic pineapple upside down cake recipe to save for years to come! Pour melted butter into 9" pie plate or deep cake pan, make sure it entirely covers the bottom of the pan and use a spoon or spatula to grease the sides of the pan. Bake on 350F (175C) for 30 minutes. At the 30 minute mark, loosely cover with foil and continue to bake (still on 350F/175C) for another 15 minutes, until a toothpick inserted in the center comes out mostly clean with few crumbs (total cook time for cake will be 45 minutes). 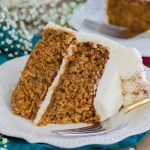 Allow to cool before cutting and enjoying, but don't wait too long as this cake tastes wonderful (best!) warm from the oven! & follow me on Pinterest! 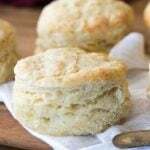 Hello Sam, I was looking for an easy biscuit recipe and I found your site, Love It! 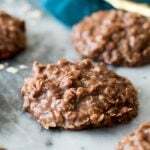 I have a sweet tooth like you so I decided to try this recipe. 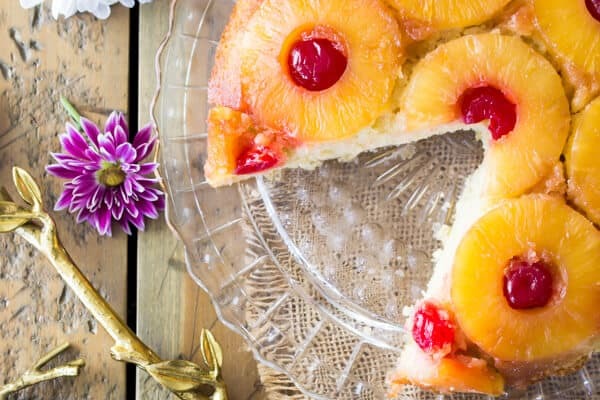 Your recipe for Pineapple Upside-down Cake is super easy and Delicious, OMG! 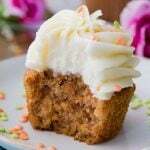 your recipe results in a cake that is light, moist and tasty, just right. 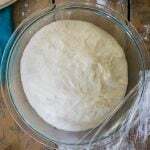 Do you have any recipes with Self Rising flour? I read that if you use 1-2tsp of baking power you can substitute all-purpose flour with self-rising flour however, I find the texture tougher. Any suggestions? Thank you for all your recipes and now you have another faithful subscriber. 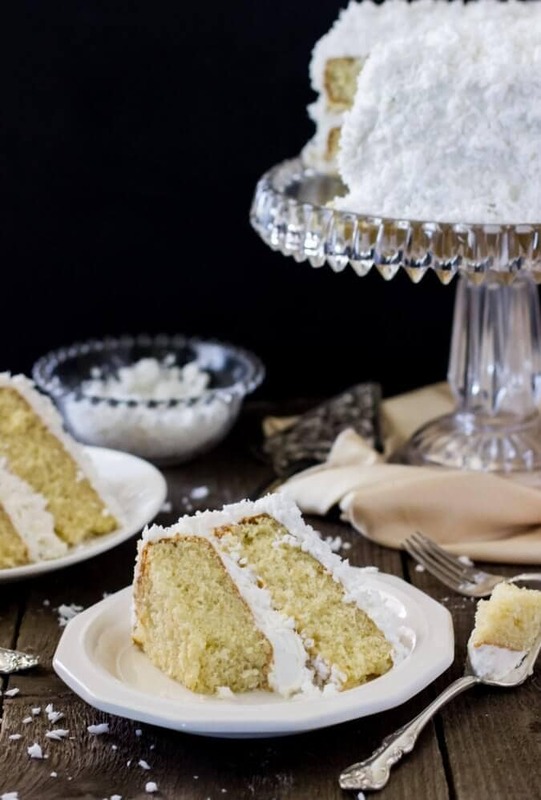 Could you add coconut to the cake? Would that impact recipe? Hi Johnny! I think you’d be fine to add coconut without making any other changes. Enjoy! 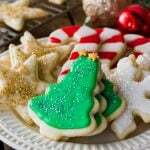 Delicious dessert! The vanilla cake is super yummy! 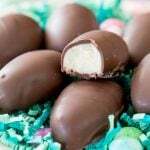 I feel I would like to have the “topping” on both the top and the bottom, so I may experiment with this next time. Great recipe…thanks! 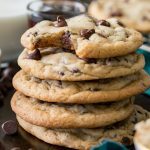 Could I double this recipe and bake in a 9×12 baking pan? Would you recommend salted butter or unsalted butter? Hi Katera, I’d use salted. Enjoy! I made 2 cakes for my moms 86th birthday. One with pineapple slices and cherries and the other with sliced peaches in a sunburst swirl with the cherries center in a circle. Both presented beautifully and delicious. 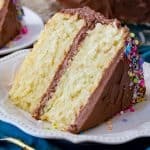 My new best quick cake to make. Is there a way to use the pineapple juice in this recepie? I baked this cake in a 9 1/2” cast-iron skillet. There were no left-overs between 4 people! It was absolutely de-lish! All 4 of us now have a wonderful recipe. Thank you for this recipe. My first time baking a cake ever, and it turned out amazing!!! Took 10mins longer in my oven. I baked it for my gf as she’s pineapple crazy and she absolutely loved it. I’m not sure what I did wrong but it came out rubbery and eggy tasting. All good except bake time was off. I didn’t use a pie plate I used a 9″ round cake pan, nice color but I had to add an additional 15 minutes to the bake time and my oven is accurate. thanks for the recipe. I made this and just took out of the oven, we are excited to try, it smells so good ! 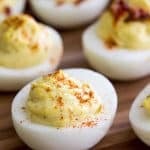 Thank you for this recipe !